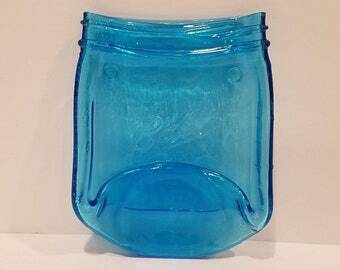 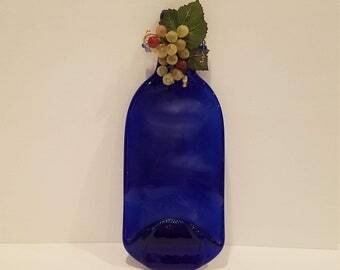 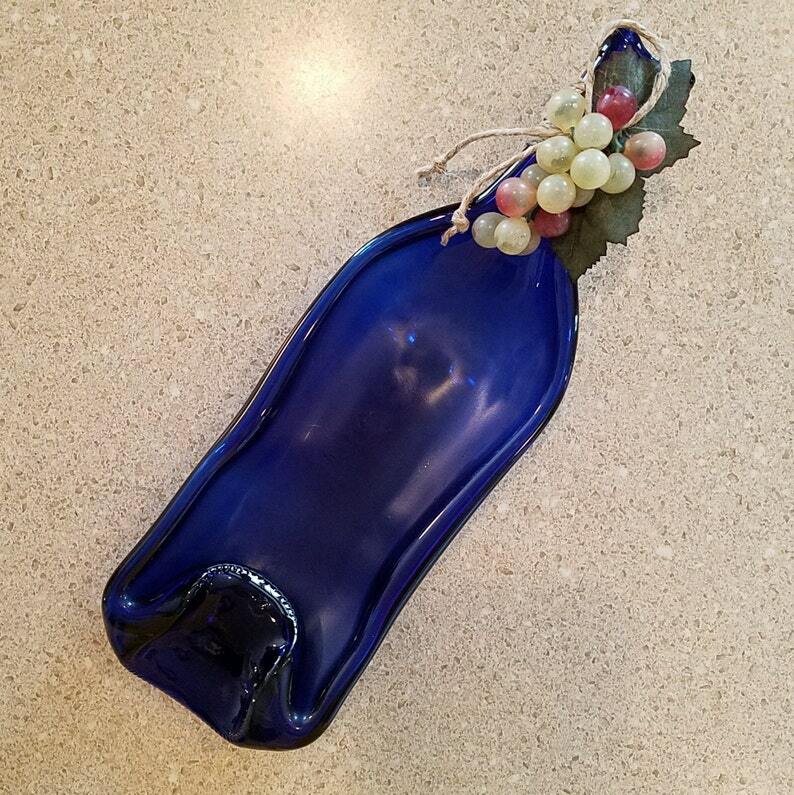 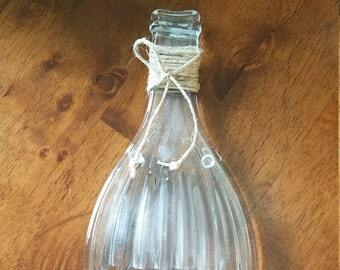 Slumped Recycled Cobalt Blue Bordeaux shaped Wine Bottle Bowl. 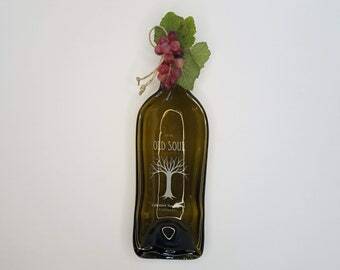 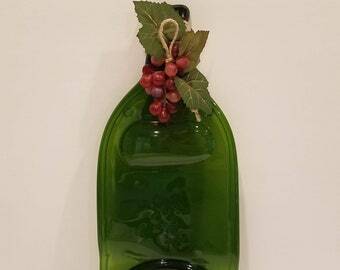 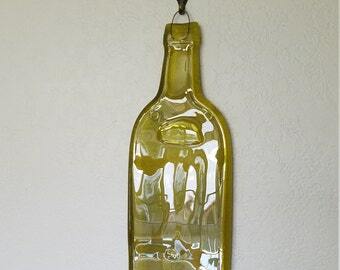 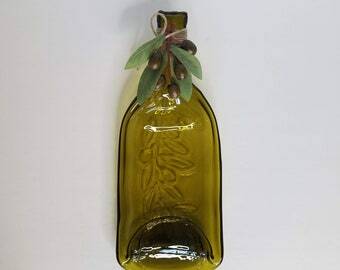 Perfect for serving olives, cheese, candy or anything!. 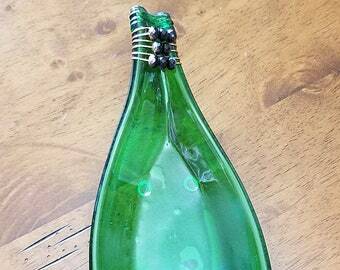 Use as a spoon rest, too. 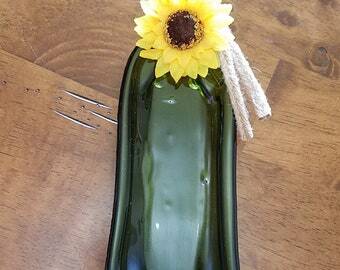 Approximate Height 11.5", Width 3.75"